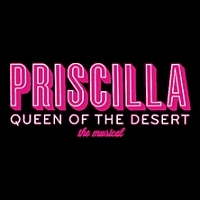 There were a lot of sad faces around Soho and Theatreland when this classic night-out was terminated at the end of 2011, but the spirit of Priscilla Queen of the Desert lives on as news filters through of a revival of the show. This time around, there won't be a West End reunion but a full UK tour throughout 2013, with a familiar face reappearing as part of the cast! Jason Donovan previously trod the boards in Priscilla during its two and a half year tenure at the Cambridge Theatre in London, performing as part of the original cast as 'Tick'. For next year's extensive tour, he's back with high heels, outrageous dress and go-girl attitude for another spell in the role at most venues on the tour (he's not appearing at Liverpool, York, Aylesbury or Brighton). Now considered to be an established musicals star (he's done Joseph and the Technicolor Dreamcoat and is about to embark on War of the Worlds), Donovan will head-up the production, lending his vocal-chords to "I Will Survive", "Finally", "Boogie Wonderland" and the like as 'he' and his travelling drag-queen companions steer a battered bus across the Australian plains in search of love, laughter and friendship. If you've seen the film, or even the West End production before, be prepared for a new twist on the familiar story as the bitchy, glitzy, hilarious coachload veers from town to town in 2013. Each stop on the tour will witness at least a week-long stop and will begin in Manchester on 9th February (until the 23rd! ), followed by Oxford, Edinburgh, Wimbledon and loads more until June when the show careers into Stoke from 10th to 15th June. We have tickets on sale now for most dates, priced from £15 to £39.50.